Sauerkraut is a humble, fermented condiment. But in Leinfelden-Echterdingen, a town just south of Stuttgart, Germany, cabbage, in all its forms, is a revered, regional delicacy. Residents throw an annual celebration in honor of their heirloom, pointed filderkraut—so named for the Filder plateau where it flourishes. The filderkraut is particularly prized for its tender leaves and its slightly sweet flavor (said to be particularly well suited for sauerkraut). Monks in Denkendorf, a municipality near Stuttgart, were growing pointed cabbages as early as 500 years ago. Today, Germans pay tribute to these beloved conical crop with a festival every October. 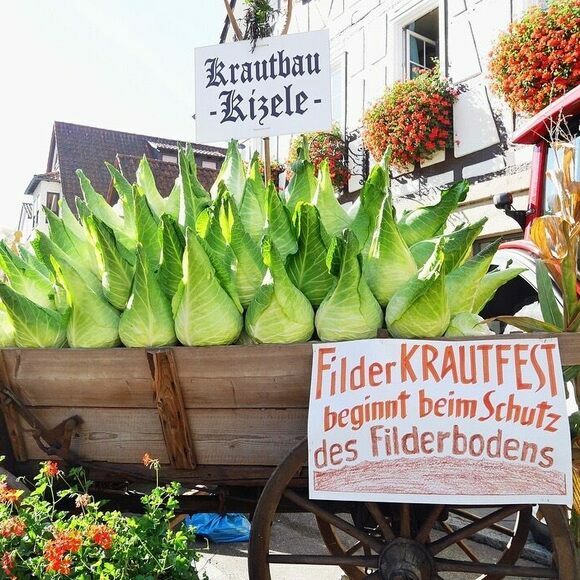 Filderkraut Fest sees the crowning of a cabbage king and queen. Cabbage-balancing competitions ensue. 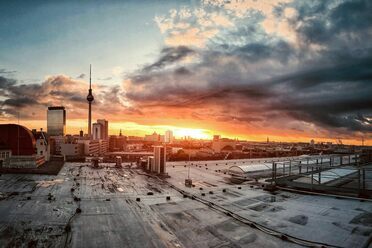 The trashcans resemble massive filderkraut. Attendees crunch into cabbage pizza, kuchen (quiche-like cakes), tarts, and stuffed cabbage leaves. Filderkraut mit Schupfnudeln, a thick noodle dish mixed with cooked, fermented cabbage and bacon, is a fan favorite. Those looking to take a piece of the party home with them can purchase whole, canned, or shredded-to-order cabbages for later use. Typically held the third weekend of October, this annual event is sure to be brimming with cabbage. For a juicier burger, steam it like a vegetable.